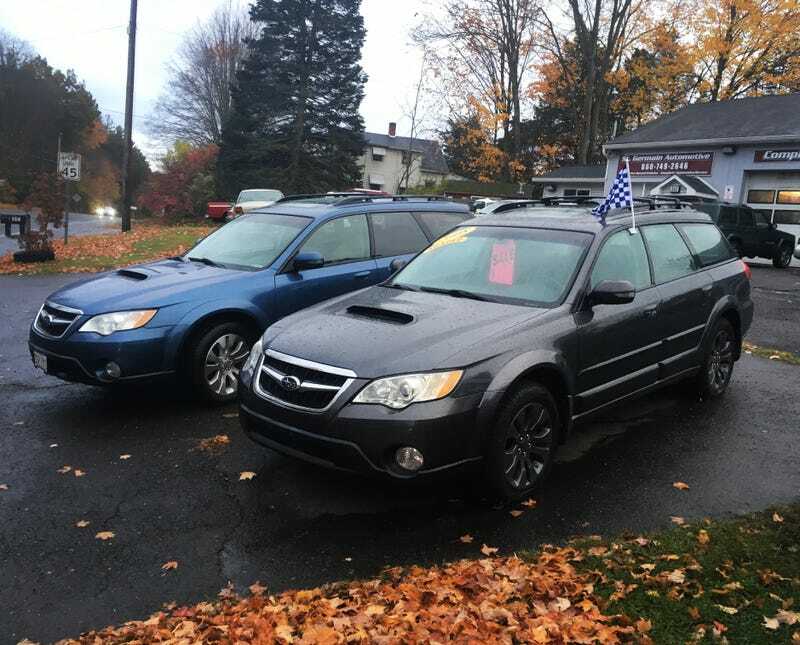 This Outback XT (with a manual, making it one of under a thousand) has been sitting on the dealer lot since May. Price has gone down a grand since then (now $9,995) and with how long it’s been there they’d probably be willing to make a deal. When I talked to them in May they said they’d already taken care of the infamous engine maintenance points (timing belt, water pump, head gaskets). Someone go get her and let her run free again.